Coming to the U.S. and Ministry Updates in Liberia! 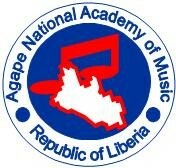 Thank you for supporting the Agape National Academy of Music (ANAM)! We appreciate you partnering with us in our ministry to the young people of Liberia through music and the arts. I want to inform you that I will be in the United States for the next few months (October 28th to January 3rd) updating current partners about the progress of ANAM in Liberia. As you may have read in the last newsletter there has been several exciting happenings at ANAM recently. While in the U.S., I would love to have the opportunity to share my ministry vision and financial goals with the goal of seeking new ministry partners. Would it be possible for you to refer or recommend me to any of your friends or family you think might be interested in learning about the wonderful work ANAM is doing in Liberia? My presentation won't take more than 30-minutes. I will be grateful for the opportunity. I can be reached at tarpehsamson@gmail.com. I look forward to hearing from you. Thank you again for standing with the children of Liberia! Redeem and nurture young people. Develop young Liberian leaders within the music and worship arts programs of religious, educational and community organizations. ANAM is affiliated with Artist in Christian Testimony International (A.C.T. Intl).